From our family to yours...we hope your Halloween is SPOOKtacularly BOOtiful! 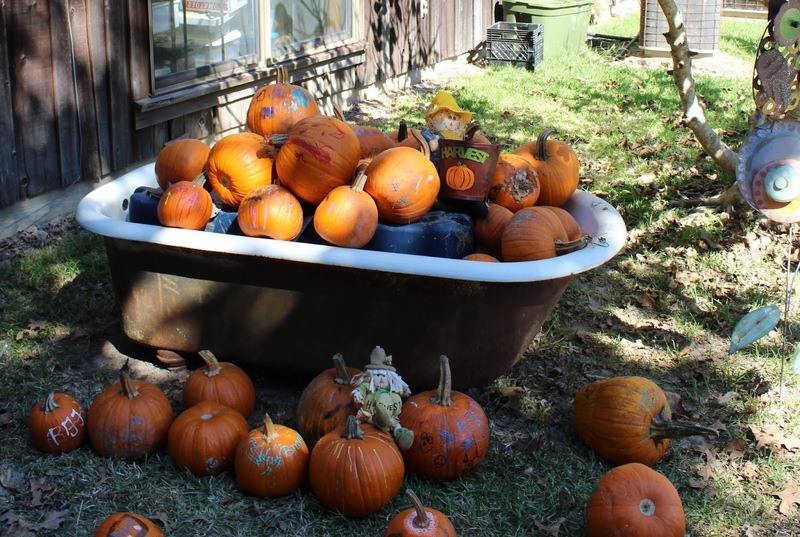 And...if you need a fabulous idea for what to do with your leftover pumpkins this season, check out how to make them into birdfeeders! The struggle this week has been real! We're finally getting into fall - overcast, blah, and wet. Maybe its a touch of seasonal affective disorder, or SAD but I've been reaching for something, anything to motivate me. And I think bits of yellow have helped here and there. 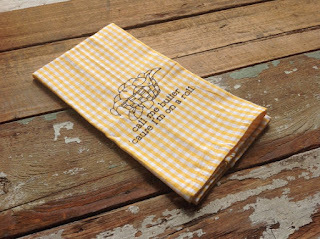 I'm pulling it together in the shop, pushing those products with yellow forward to make me (and my guests here) feel warm and happy. Yellow is not my go to color...but right now it feels positive and still in tune with autumn. 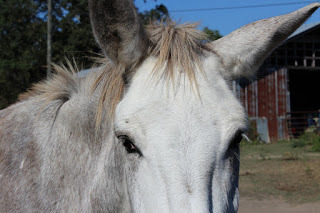 How does color affect you and how do you use color??? Included in our visit to last week's pumpkin patch was a small field of cotton growing. This has been such a hot trend in the shop lately, a pretty natural that fits easily in to any season, but for the life of me, I've never seen the actual plant! 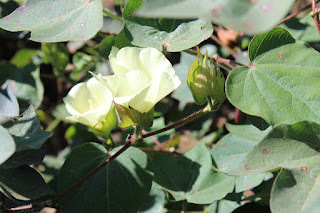 It was in flower with almost lemon to citron blooms reminiscent of hibiscus...these will turn to seed (a few had made pods already) and split into harvest-able cotton. 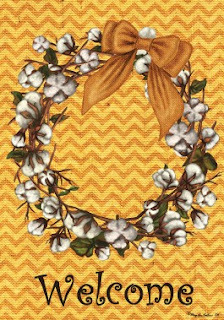 We sell a beautiful faux wreath and stem at the shop; it actually has natural cotton parts but wired on a posable frame - included are the barbed like natural remnants of the cotton pod. 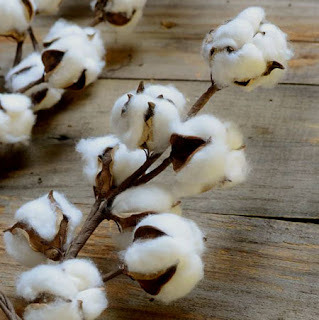 I have a few people that remember picking cotton back in the day and when they look at those awfully sharp pods they wince and think we're all crazy for bringing cotton back! 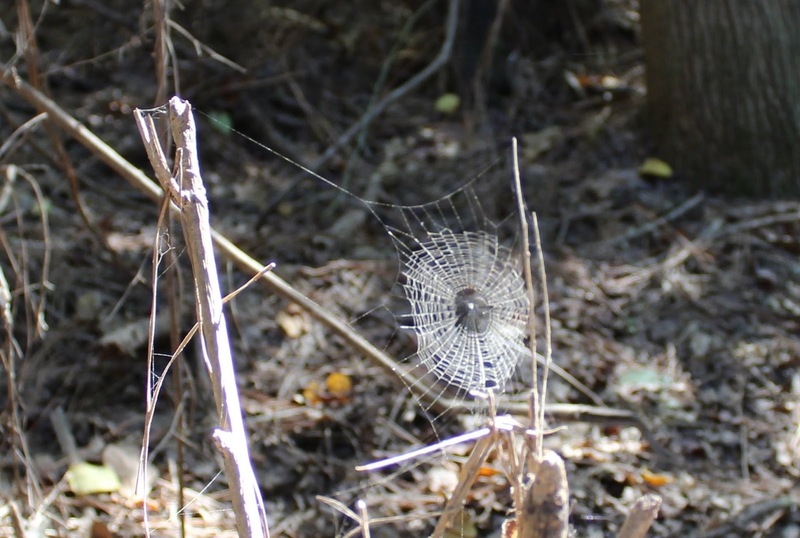 At least it's painless to pick out these additions to your home and garden! As mentioned in my last post; we've upgraded our main website and I've extend the coupon WELCOME20 for 20% off your entire order through the end of October! I just finished Chasing Warblers , a recount of surveying all 52 warblers that nest in the US. I highly recommend it to any birdwatching enthusiasts as its full of wonderful stories and good tips along the way! We visited a pumpkin patch this past weekend! And a ton other people thought it was a good idea, too! 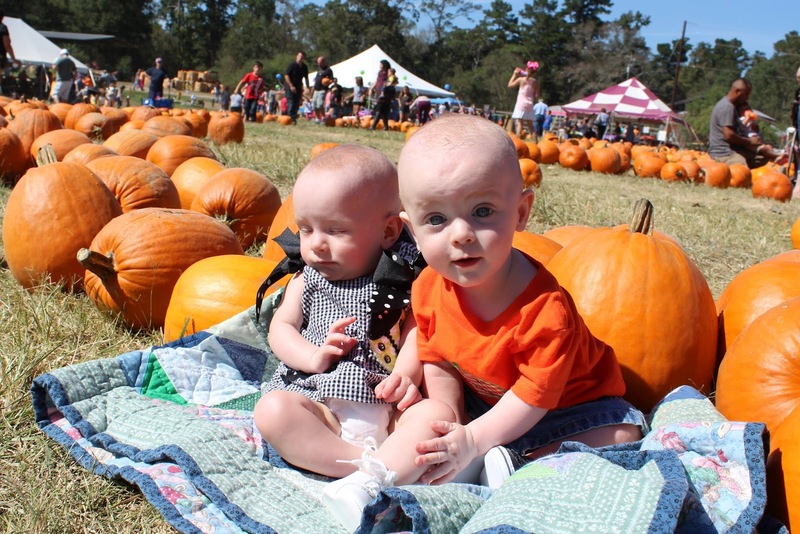 It was a beautiful day and the twins were a big draw! Everytime we set them up for photos, a crowd would show up behind us...someone even wanted to take a picture with them (we politely declined!). The kids will love this place when they get older! 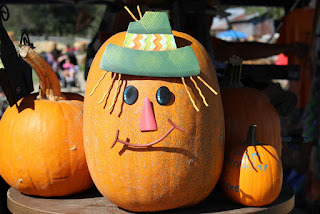 It definitely got us excited for Fall...however, the weather is not cooperating with near 90 degree temps daily. 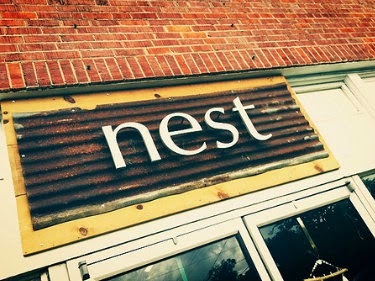 I made a significant change to our main website: http://shopnestinteriors.com within the past week or so. 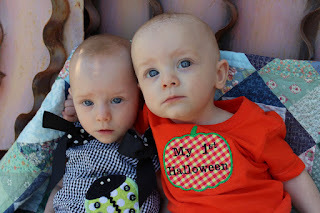 The old site just was a bear to manage and with twins I need to simplify everything! The site address will now forward you to our new Square site, it's gorgeous and easy! And good until the Oct. 19th, you can use coupon code WELCOME20 for 20% off site wide. 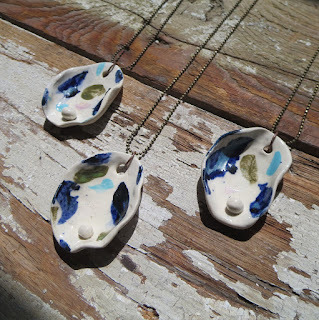 This is good only for this site, not our Etsy. I realized today as I was adding a few new (old...i.e. 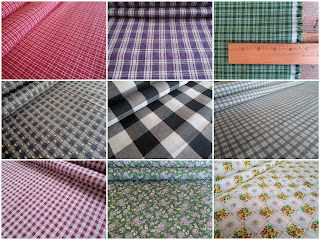 vintage) fabrics to our Etsy site that we have a enmassed a nice collection of primitives, vintage, and homespun fabric...some with multiple yards! The above picture is just a sample...you'll have to visit the site to see the full collection that changes daily with all of our other great items. Primitive Red Homespun Fabric - it's a reproduction, two yards left and its on sale. 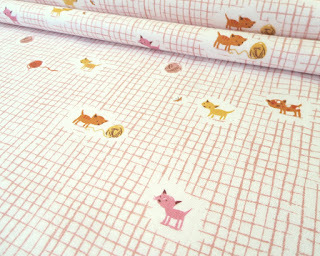 Vintage Gingham Check Fabric - this is an oldie but goodie! 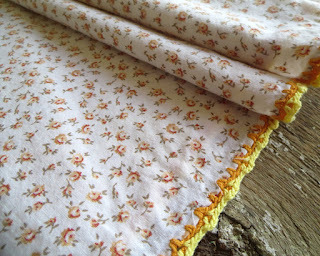 Vintage Cotton Yellow and Off White Floral Check Dimity - Wow! 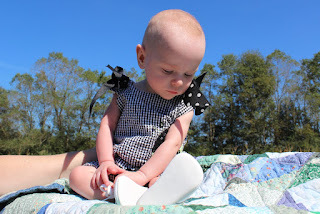 Dimity at 2 yards and it's on sale! And as a special thank you to blog readers - here's an extra discount; use THANKS10 for 10% off your entire order from our Etsy shop! There's a crispness to the air (finally, this far South!) 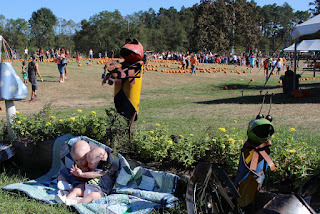 and with all the busyness life has to offer in the Fall...pumpkin patches, football games, etc...it's important to take a pause. I like to wake up a little early once in a while and treat myself to a hot bath. This weekend I sampled some great new arrivals from the shop to make my bath even more intentional and special. 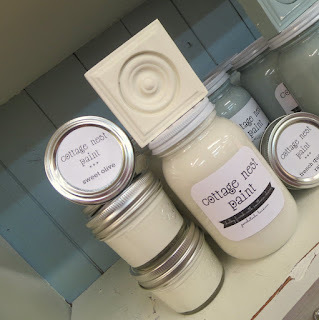 Musee bath balms are always such a treat for the senses...an explosion of color, amazing fragrances, and an after glow of soft, silky skin...plus there is usually a real treat inside most bath balms. 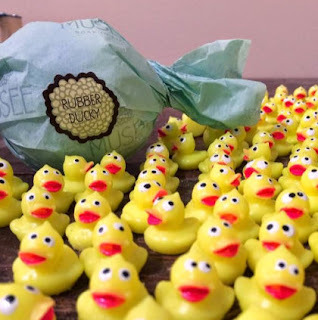 This one, Rubber Duckie, is hands down my favorite! 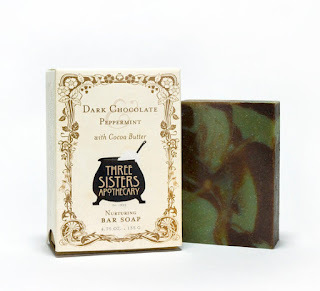 We have fresh and limited editions soaps from Three Sisters Apothecary...special blends include pumpkin, mission fig and dark chocolate (my personal favorite). Soap is always a nice treat especially if you only have time for a quick shower. And to set the ambiance, I like a candle burning - it makes it more intent-full, purposeful that this is time to care for myself. 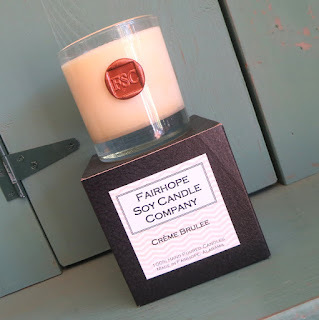 Fairhope candles, made in small batches in Alabama is my go to for aromatherapy. I'm currently loving their seasonal blend, Pumpkin Crunch. Lastly, here are some takeaways I've gained the past couple weeks ago when I joined in on the Tranquility du Jour seasonal podcast. (These are always free to call in and I highly recommend). Is it real, is it true? This is what I've been stopping and asking myself when conflict arises or a situation unfolds that I don't quite understand. Is it real, is it true...what I'm feeling may be real (fear, anger) but is it true? Am I being confronted with what I'm really interpreting? This has been such a freeing thought...not only does it honor my feelings but it makes me step back and reassess. The next takeaway is breathing. We don't think about this clearly enough...and its free and available to us anytime. 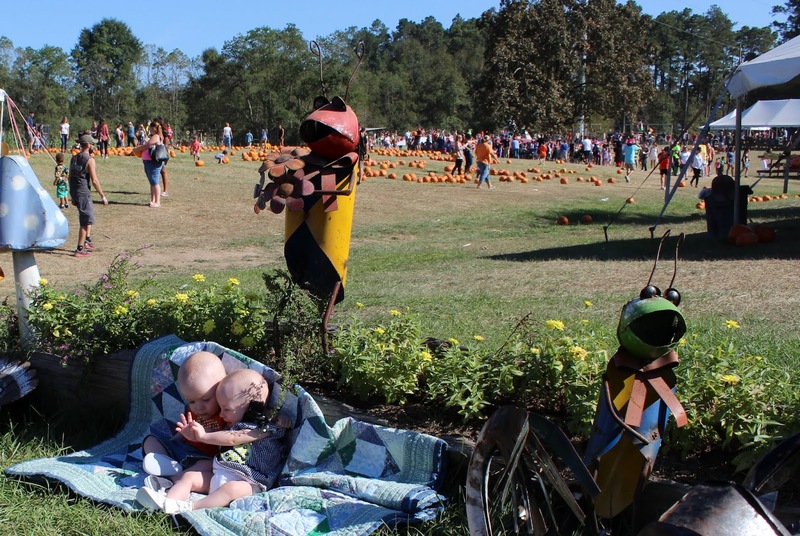 Here's hoping your Fall is already turning into a special time to pause and reflect! If you read my last post about losing our cat, Sophie, then you can imagine how I burst into tears when this new bolt of Heather Ross Tiger Lily fabric arrived at the shop. Ordered months ago, even cuter in person...but oh how I miss my kitty. 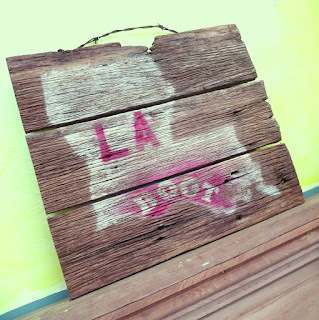 This was a fun collaboration between myself and local artist, Mary Smith. We developed an idea for a ceramic oyster shell pendant, slightly abstracted. They came out beautifully and one sold within hours of its arrival! A new color! 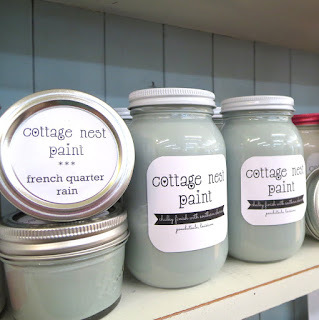 Our very own paint, that I make (ok, C helps me...a lot!) is doing so well that we are selling out quite frequently. 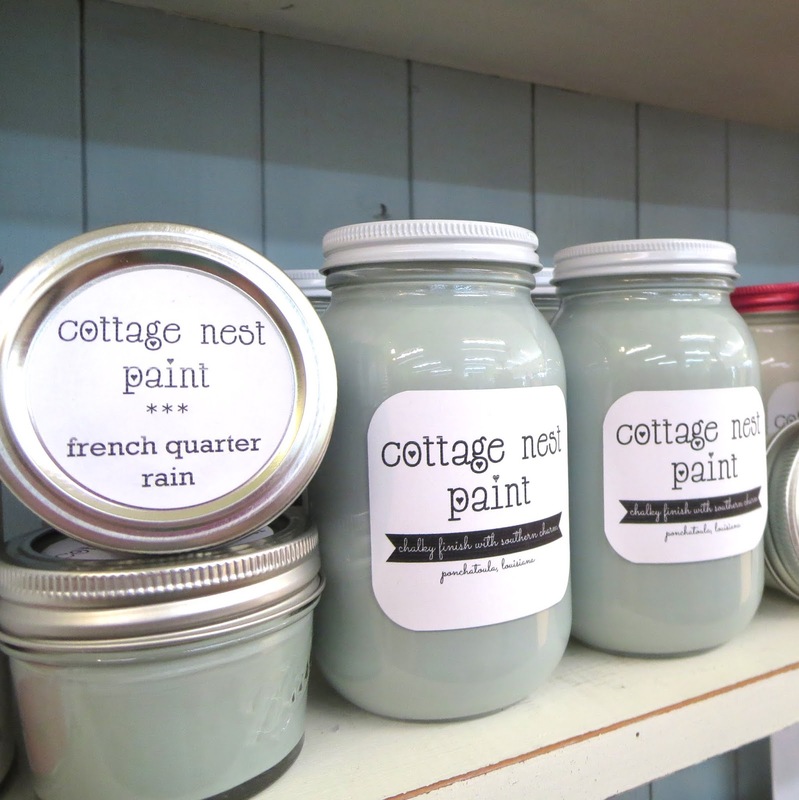 Between restocking our original colors, I launched French Quarter Rain - a pretty celedon green that just happens to resemble the color of an egg of a certain duck (hint hint). 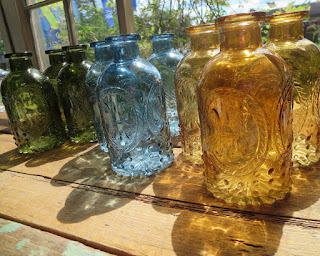 We've had some incredible weather this week; this sunny spot in the shop really set off the new fleur de lis bud vases that came in earlier in the week. 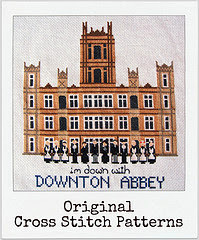 A shout out and thanks to Lemon Verbena Blog for stitching my I'm Down with Downton Abbey Cross Stitch Pattern. Not only did she do a beautiful job (seriously, check it out!) she gave it away as part of a swap (what, what?!) I've actually seen a lot of people do this and I can't believe what a nice thing that is to do for someone that is ultimately a stranger! So thank you for your kindness and wanting to stitch my pattern! Must see...I'm a huge fan of Florence + Machine and you must see this interview & tour of Florence Welch's living space...it's a bit of everything you expect it to be, ethereal and bohemian. What she says about home is quite special, one that resonates that our homes our living organisms and they become scrapbooks in the end. One week ago we lost one sweet soul of a cat, our girl, Sophie. 14-1/2 years ago when she came into my life, she brought so much joy - I felt desperately lost, just out of a horrific relationship, dead end job, etc...etc. She was my bright spot and to both our contentment, she saw me find stability and love, a passion for work in a business I created, and my two new loves, our twins. The last few months she was just so sick, part out of disbelief and selfishness, I couldn't let go. A day or so after she passed, I saw a butterfly from the kitchen window - one I had not seen this season. I went out for a better look and it immediately flew away. It came back...in fact it landed on me twice. 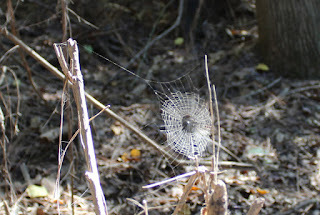 It stayed so long, I have a dozen so pictures and a video...all while my three dogs were walking around me. I'm not so much hippy dippy...but when I tell you this was a sign...this was a sign. I call it Sophie's butterfly, her coloring, tattered and tired. I hope it's her saying she's safe and ok.